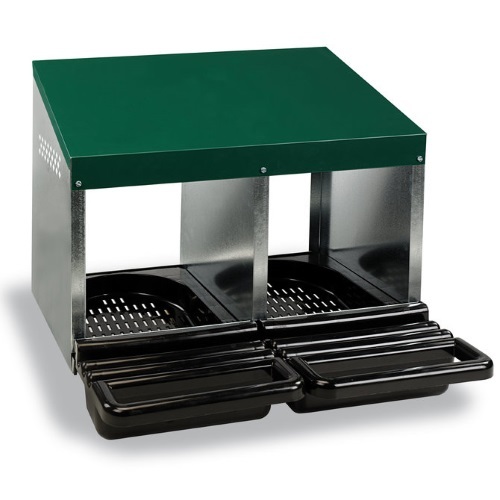 Your choice of 2 or 3 section laying nesting box with plastic floors. With attractive green roofs and sturdy sides, these nesting boxes are perfect for your feathered friends. Plastic bottom easily removes for daily cleaning. Two-section nesting box measures 21.06" x 20.66" x 16.73" and three-section nesting box measures 31.49" x 20.66" x 16.73".